Google has released a new search feature that officially has no name. Search marketers are calling it “Instant Content” because Google is actually hosting the content and publishing it directly within their search results. 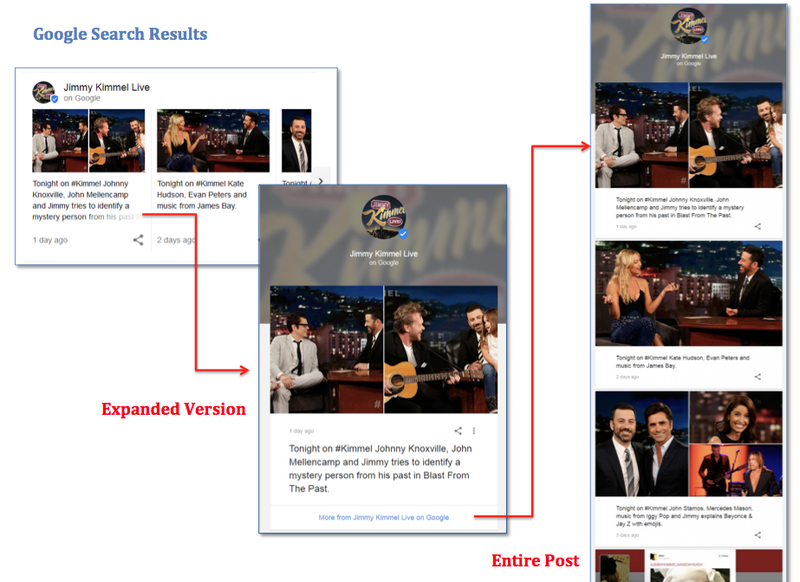 Could this allow media companies and marketers to publish directly to the Search Results? Google is maintaining a middle page that is essentially a zoomed in version of what is showing on the search results page. There is obviously a hidden purpose for Google to use this middle page. How To Get Content Appearing? If you are a verified individual / organisation, you can request access to the beta by joining the waiting list. Go to https://posts.withgoogle.com/ and click “Join the waiting list”.